Come celebrate the season with the flavors of Thailand. Get to know the special aromatic ingredients that contribute to the unique flavor of Thai food. 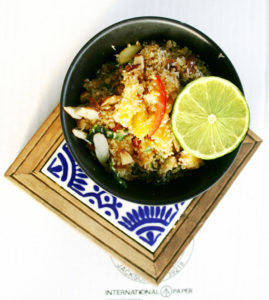 We will make Green papaya salad (Som Tam), Chicken basil (Pad ka prao) and finish w Sticky coconut rice w mango. The dishes are all gluten free and can be vegan if you let me know ahead of time.